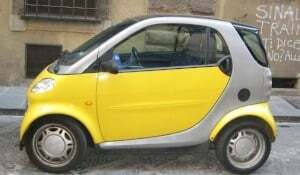 to teach English in Spain & around the World. Learn more about housing options. This is an intensive, full-time university-level course. Students should expect to be in class from 10:00 am - 7:00 pm (with breaks, of course), Monday-Friday. Weekends are primarily free for sight-seeing and relaxation, but some homework is required. Like all ITA TEFL Courses, this class is taught by highly experienced university-level instructors. The Barcelona school in Spain is located in the Eixample district of Barcelona, with a metro stop conveniently located nearby, as well as a bus service in the area. The famous La Sagrada Familia is a few blocks away and can be seen right out the window of the TEFL class office! All students and graduates receive hands-on job placement assistance from the local staff in Spain in addition to lifetime, worldwide job search guidance from ITA's expert team of advisors. *Please note: All job search assistance from onsite coordinators and in-person TEFL courses are reserved only for students who enroll and take each respective onsite course. If you did not take an in-person TEFL course, please contact the Student Affairs team at International TEFL Academy for job search assistance. Classes are capped at 12 students; Internet access is available at the school facilities, lounge and computer lab. All ITA-operated classes are externally monitored & approved at a Level 5 Ofqual accreditation by TQUK. 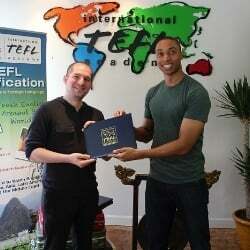 Our certificates are recognized worldwide at the highest level for TEFL certification. Read more. Read our Spain- Country Profile to learn about the local job market for teaching English in Spain, including salaries, interview procedures, visas & more. All students receive the full benefits of ITA students and alumni, including lifetime Job Search Guidance. Please review about or Registration Procedure and the Terms & Conditions (you will be required to sign and initial this document following enrollment) prior to enrolling. Must complete an interview & submit a written essay to verify your English skills. Read more. 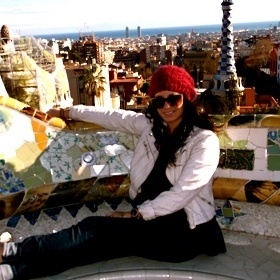 Learn everything you need to know about taking your TEFL Certification course in Barcelona. Read more. Looking to earn an accredited 4-week TEFL TESOL certification that will qualify you for thousands of English teaching jobs in Spain and around the World? This state-of-the-art TEFL certification course not only provides expert-led training and a recognized qualification but personalized job placement assistance for finding jobs teaching English in Spain and around the globe. 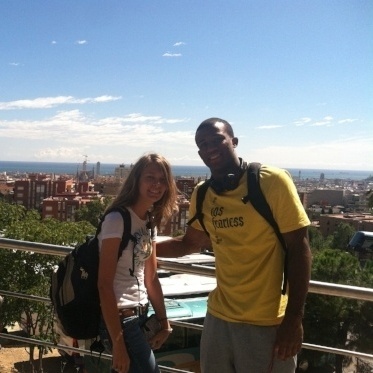 The Spain Barcelona TEFL course is very intensive and requires a strong commitment by the student. One can expect to be in class for about eight hours a day along with a few hours of work at home. International TEFL Academy recommends that trainees have no other personal or professional commitments outside the course during those four weeks of training. To learn more about the intensity of the course and what you can expect on a daily basis, check out 10 Things You Need to Know to Prepare for Your TEFL Class in Barcelona, Spain (Top FAQs). Spain is one of the most popular locations in Europe and the world for teaching English abroad. English teachers in Spain typically find work in September or early October, and then again in January. Teachers in Spain will be expected to interview in person once they arrive in Spain, and they will also be responsible for their airfare, as well as housing. Many English teachers in Spain live in apartments recently vacated by previous teachers, and many room with their coworkers. *Note about the Job Market in Barcelona: Spain, including Barcelona, represents one of the stronger job markets in Europe. It is important to note, however, the vast majority of non-EU citizens, including Americans & Canadians, enter and teach English in Spain on a tourist visa. While not legal, it is the common practice. To learn more, please speak to an ITA advisor & read the following article: Teaching English abroad “Under the Table” Without a Work Visa - What Does it Mean?. It is also important to note that the vast majority of Americans & non-EU citizens who work in Barcelona do so as independent contractors & private tutors on a tourist visa. 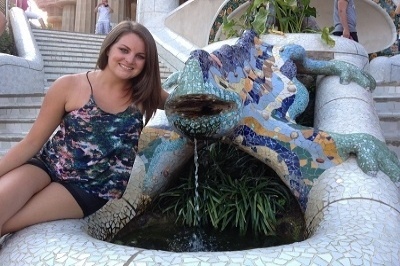 To learn more, please read: Jobs & Visas: A Quick Guide to Teaching English in Barcelona, Spain for Americans & How to Find Private English Teaching Work in Barcelona, Spain by ITA graduate Lauren O'Rourke. If however you are interested in living and teaching English in Barcelona legally on a student visa, please check out our Barcelona Student Visa options. This TEFL certification course has been specially designed to provide all course graduates with the tools to succeed as professional English teachers. Like all ITA TEFL classes, this TEFL course is taught by highly experienced professors and includes live practice teaching with local ESL students. Here is a brief overview of what you will learn in this course. Because the course is so intensive, people can spend their months here without finding the time to see the beauty of Spain. To make the most of your visit here in Barcelona, we offer a number of possible excursions. Here is a list of potential excursions; what is offered during your particular course will depend on the season and the interest. Excursion costs are not included with tuition. Spanish Language Courses - Learn basic Spanish to enhance your stay in Barcelona. Wine Tasting Tours - Discover the tastes of some of the most famous Spanish wines! 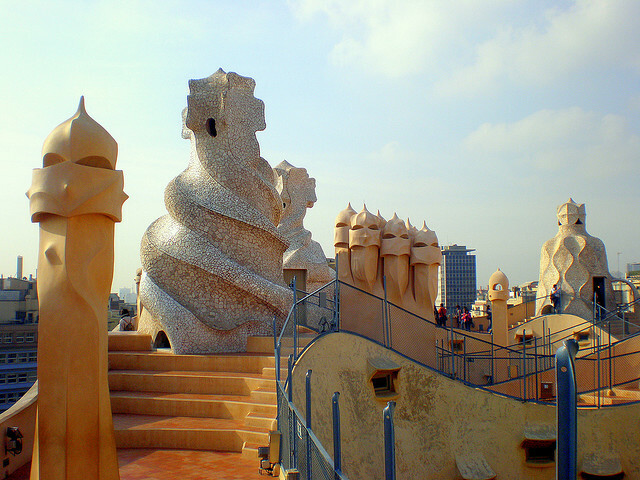 Barcelona City Tours - Learn the lay of the land in Barcelona. Upon enrollment, you will be put in touch with the Onsite Course Director who can assist with arranging you accommodations during the course. Accommodation options can be within walking distance of the school or well connected by public transportation -- your accommodations will never be more than a 20-minute bus ride from the school. 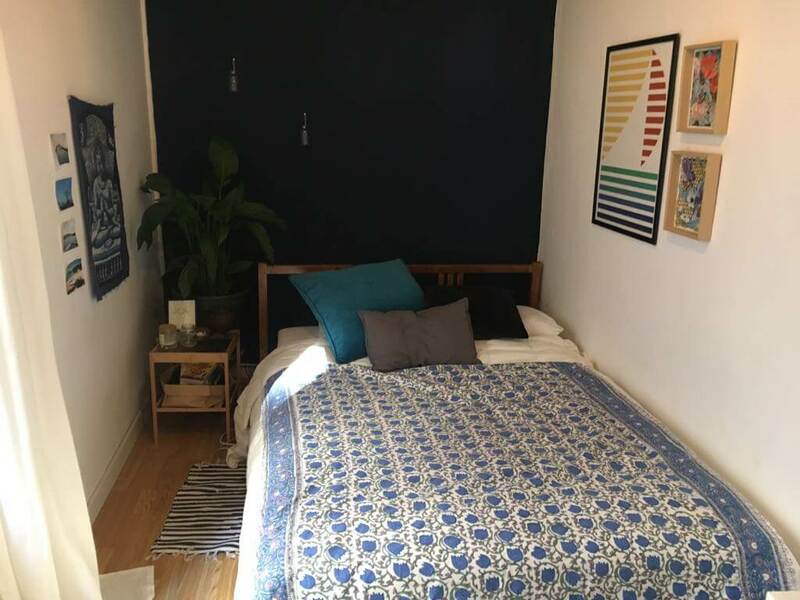 Shared Apartment - You may book a single room in a shared apartment. The apartment is typically shared with 2-3 other students in the TEFL Course. Most apartments are in the Eixample area. Communication, Phone and Internet -You may buy or rent a cellular phone from any of the numerous phone stores in Barcelona. There is Wifi in the accomodations. International TEFL Academy housing does not provide telephones and phone service is generally not available in your accommodation. There are many internet cafés located around the corner from the school for internet access. IMPORTANT! Before enrolling for any International TEFL Academy TEFL course, it is imperative that you speak to an Admissions Advisor. Your advisor will answer your questions and assist you with matters such as your eligibility & enrollment; course costs & logistics (such as housing); and your options for employment as an English teacher once you complete your TEFL Class. To enroll for this course, please visit our Registration Procedures Page. Teaching English abroad “Under the Table” Without a Work Visa - What Does it Mean? Earning an accredited TEFL certification is a key element in the process of going overseas to teach English abroad, but sorting out your options for taking the right class can be a challenge. This video provides an in-depth overview of accredited TEFL certification course options offered by International TEFL Academy, including the 170-hour Online TEFL Certification Course and onsite 4-week TEFL classes offered in more than 25 locations worldwide, including in the U.S. Watch the video to learn more about these various options, including international standards, costs, schedules, formats, job placement assistance and the advantages to each approach. 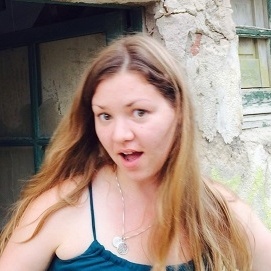 Looking for more TEFL Class Options? Check out accredited TEFL Courses in 25 locations worldwide in addition to ITA's state-of-the-art 170 Hour Online TEFL Class. 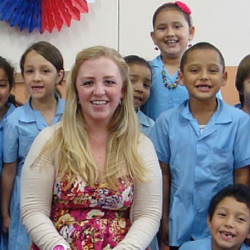 Got questions about TEFL certification & teaching English abroad? What about salaries, visas & hiring requirements? 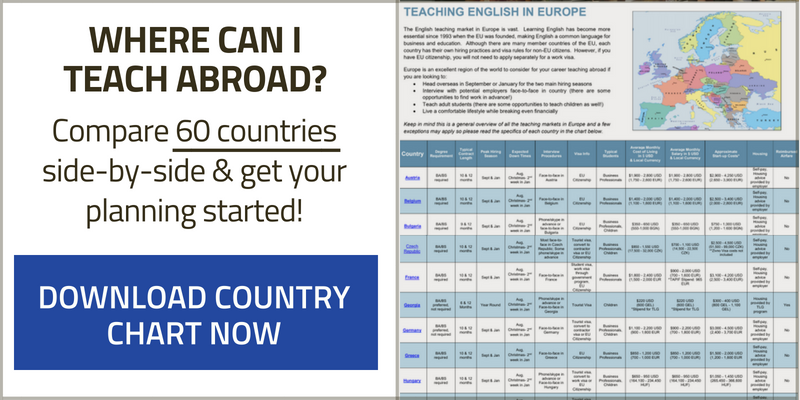 Check out more than 300 articles about all aspects of teaching English overseas. 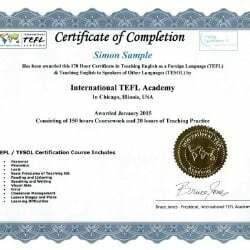 All International TEFL Academy TEFL Courses are taught by university-level professors & are recognized and accredited by recognized authorities in the field of Teaching English as a Foreign Language. All ITA students & graduates receive lifetime Job Search Guidance to gain employment teaching English in up to 80 countries worldwide, including personal guidance from experienced advisors.